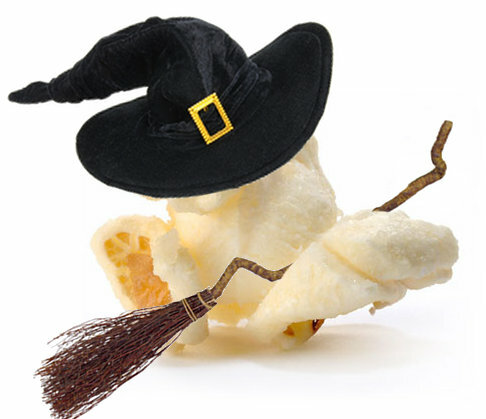 Halloween is all about treats (and tricks) and we at Popcorn Palace want to share some of our treats with you. Share your best Halloween pics (costumes, houses, Jack-O-Lanterns, etc.) with us on our Facebook wall and you could win ourPopcorn Palace 6-Flavor Gift Box! Photos must be posted by midnight (CST) on Nov. 7, 2011. Voting (liking) will close at 5 pm (CST) on Nov. 8, 2011. Winner will be announced on Facebook on Nov. 9, 2011. This promotion is in no way sponsored, endorsed or administered by, or associated with, Facebook, Blogger or Twitter. You understand that you are providing your information to Popcorn Palace and not to Facebook, Twitter or Blogger. Does your organization have a compelling story to tell? If so, enter in our “Pictures are Worth a Thou$and Dollars” Contest. We will be selecting a winner for the month of October, November and December! Monthly winners will receive a check made out to the organization for $250. Then it will be up to the Popcorn Palace fans to vote on which organization will receive the grand prize of an additional $250! To enter, fill out this online survey at http://bit.ly/pkTcovAND send an organization picture to patty@popcornpalace.com. If we do not receive a picture, your entry will be null and void. As a token of our appreciation, every complete entry will receive a gift! It’s a common occurrence. One day you have a key point person in your organization and the next day he/she is gone and the organization is left scrambling trying to pick up the pieces. If you’ve ever been unlucky enough to take the helm of a group or its fundraiser with no preparation, no records, and no help, you know how important smooth leadership transitions are.